Evolution Salon Prive Baccarat - for High Stakes Baccarat Players. High Stakes Baccarat players have finally been given a playing environment that will suit their style of play. Evolution’s Salon Prive Baccarat. A Live Baccarat table has been introduced to Evolution’s Salon Prive, the dedicated playing area reserved entirely for high rollers. The Salon Prive Baccarat Table has been created to deliver a high end Macau style game to VIP’s. It comes with a range of features not available on Evolution’s normal Baccarat Tables. For a start most players will need a minimum balance of £/€6,000 just to sit down at the table. Minimum stakes will range from £1,000 while maximum bets will be £10,000 and above a hand. Play on the table is private to one Player, no-one will be able to watch. The table will be marked “In Use” in the lobby when someone is playing. The deal Now button is active all the time, so the game can go at the pace of the dealer. 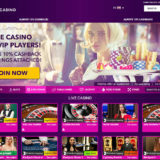 The Player has the Option to request a ‘Free Hand’, similar to VIP Baccarat rooms in Macau. The dealer will deal a hand with no bets placed. Players being able to request a change of dealer or retain the existing dealer when their session time is up. A dedicated VIP Room Manager is in attendance at all times to deal with player requests and to make sure any issues are resolved as quickly as possible. The Playing interface is the standard interface used in all of Evolutions Baccarat games. There’s an extensive set of Baccarat Roadmaps, which help the player understand the history of the shoe in a number of different ways. I’m sure the “Free Deal” feature will get used a lot to try and change the behaviur and sequences of the dealing shoe. Like all Evolution Games, Salon Prive Baccarat is avaibale on Mobile, Desktop and Tablet. The table is open 24×7 in the Salon Prive. This can be found either as a separate tab in the Lobby or just navigate to the Baccarat tables and you’ll find it there as an option. 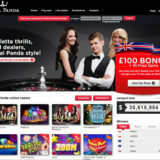 It’s early days at the moment so the table is only available at a limited number of online casinos. 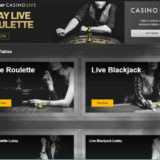 If you fancy taking a look, or even having a play, you’ll find the table at Unibet Live Casino.